Let’s get a few facts out of the way: When Tesla unveiled its “affordable” Model 3 electric vehicle this week, the company opened up reservations an hour before the public even saw the car. Tesla CEO Elon Musk said at least 115,000 deposits were made before the launch event, and in a little over 24 hours, it more than doubled that number to 232,000 and counting. What’s not factual: the idea that Tesla made at least $7.5 billion in sales in under 24 hours. There’s a lot to be excited about the Tesla Model 3 – it’s the company’s first vehicle to dip well below the $70,000 retail price, it can go from zero to 60 MPH in six seconds, and is estimated to travel up to 215 miles on a single charge. It also looks pretty damn sleek. And while this helped boost Tesla’s stock by nearly 7 percent, many seem to be forgetting that the car doesn’t actually exist yet. This is not a car you can readily test drive (though members of the press were able to ride an early model at the launch event). Musk said in a tweet that the Model 3, which was originally pitched as a $30,000-range car, will cost an average of $42,000. At the time of the tweet, Tesla received 180,000 deposits, which equates to about $7.5 billion in sales. At 232,000 deposits, he’s looking at about $9.7 billion in potential sales. But what Tesla actually has in the bank is only about 2.4 percent of that figure. Each reservation is $1,000, meaning it has netted $232 million in its first day. While that’s still an impressive figure, these deposits are refundable until production begins in late 2017 – and there are likely to be people who decide that 2018 is too long to wait for a car after all. And that’s just talking about shipments in North America. The $9.7 billion figure also assumes that Tesla will meet its production deadline given the large volume of reservations. Remember that its $80,000 Model X sports utility vehicle was delayed by two years, and that’s a car aimed at the luxury market. Tesla also reported a $114M loss in just Q4 of last year. 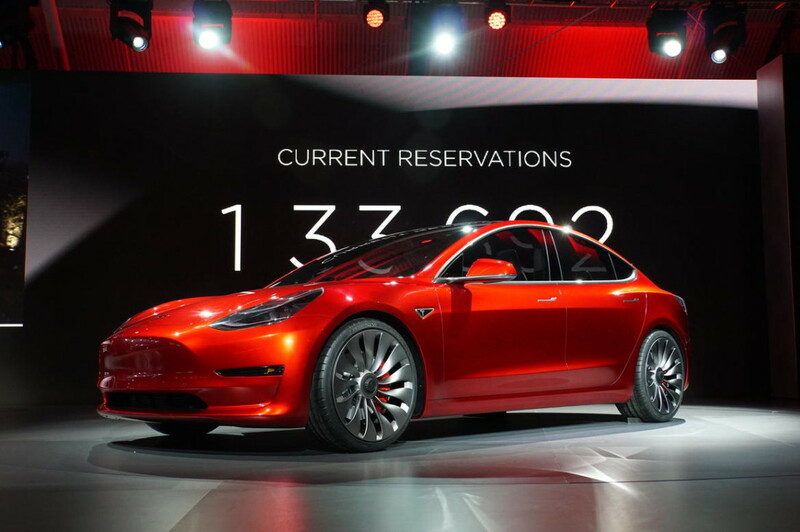 As the Daily Beast reports, Tesla might even run out of money before production finishes. The Model 3 hype is real, but it’s hard to argue the figures from the company’s history. There’s a long road ahead for Tesla to bring its electric vehicles to the masses, but we should also keep reality in check before assuming every deposit it receives will turn into a sale – or an actual product. 232,000+ reservations might be the momentum Musk needs to get investors on board, but one thing is for sure: the pressure’s on. Editor’s Note: An earlier version of this article stated Tesla reportedly loses $4,000 per each Model S sold. Tesla has denied this figure, and we’ve updated the piece.